London/Mechernich. 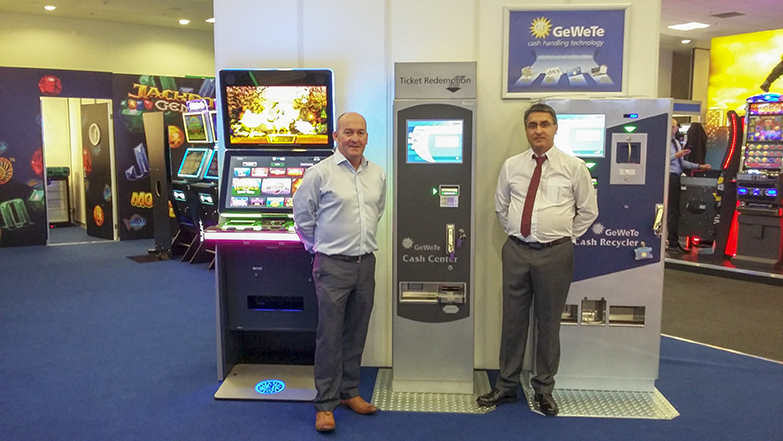 In conjunction with Blueprint Machines, GeWeTe once again exhibited a range of machines from its extensive portfolio of cash handling solutions at the 2017 Autumn Coin-op show (ACOS) in London. Combining over 100 years of industry experience, the UK sales team of Mark Edmundson, Mike Finigan and Carlo Starsk were supported by Managing Director Aristidis Tsikouras. He and the team were very pleased with the attendance at the show and our stand, observing that the last-minute change of venue had not put people off visiting. The range on display included the very popular Cash Recycler, featuring a multi-functional, fully automated and very secure cash handling system including bulk coin in, notes and ticket acceptance, notes and coins out, staff account facility and much more. 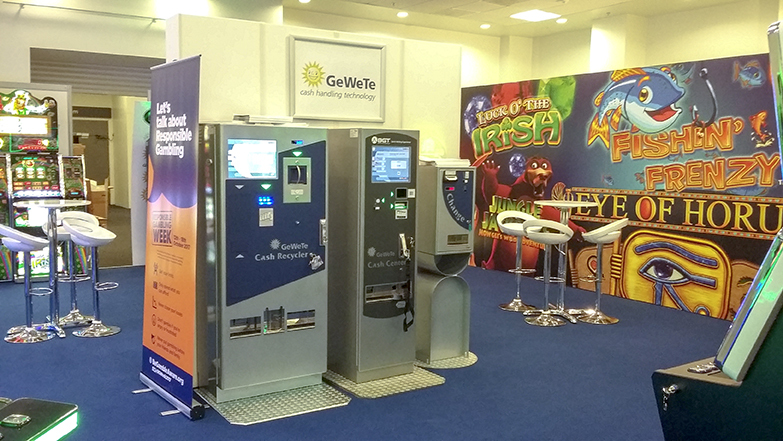 GeWeTe also had two variants of the Cash Center Compact on display, both of which are compact and economic bill breaker, change machine, ticket redemption and cash handling solutions for the sports betting segment. The WGS 102 model was also on display, demonstrating a small, compact note and coin change machine with two coin hoppers that can be either wall mounted or free standing.